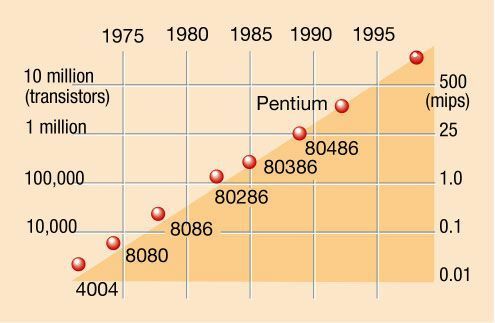 Can Moore’s Law Be Applied to Power Electronics for Solar and Storage? Solantro looks to move new high-frequency designs and new materials like GaN and SiC into solar inverters. While laptops and consumer electronics follow Moore's law of performance doubling every eighteen months or so, some have said that the grid hews more closely to Westinghouse's law, with big change happening every 50 to 70 years. Paquin believes that horizontal integration in inverters will yield more efficient designs that leverage the scalability of silicon. This will reduce cost in solar and storage applications, while moving toward new power semiconductor materials such as gallium nitride (GaN) or silicon carbide (SiC). Solantro designs and builds chipsets for use with solar module power electronics (MLPE), which would include microinverters from firms such as Enphase or SolarBridge (acquired by SunPower) and DC optimizers from firms such as SolarEdge or Tigo. Solantro also looks to address battery-based energy storage conversion applications. In 2012 Solantro raised a $10 million round A led by family fund Black Coral Capital, as well as Presidio Ventures (a Sumitomo company), Business Development Bank of Canada and Export Development Canada. Last year, Solantro won $3.8 million from Sustainable Development Technology Canada for a project it called "Self-Forming, Dynamically Scalable, Renewable Energy Nano-Grids." That's some salty language from the usually polite Canadian guys. According to the CEO at a meeting this week, Solantro is closing its B round of funding. 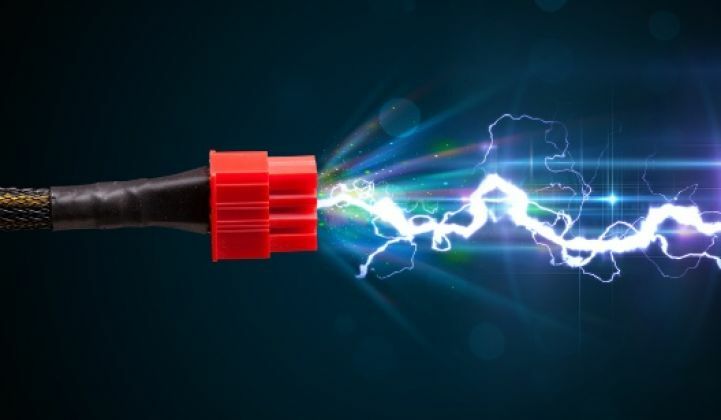 Paquin has written in an article published on GTM, "To achieve widespread adoption, the cost of advanced distributed power electronics must converge to $0.10 per watt. But since most power electronics are currently built using discrete electronic components that do not benefit from economies of scale, it’s unclear how this goal will be met." The CEO suggests that the same chipset-based silicon integration of discrete electronic components that enabled cheap cell phones will enable lower-cost module-level solar panel electronics. Firms such as Volterra (with an embedded cell-string optimizer), Dragonfly Systems (acquired by SunPower), Empower Micro (with an AC Series architecture) are also looking to stake a claim in the solar module-level chipset business. GTM Research includes these firms under the rubric of "second-generation power electronics players," noting that "these companies lack an established demand base, but have gained early traction with major module and inverter suppliers." MJ Shiao, Director of Solar Research at GTM, points out, "A 10 percent decline in average inverter prices barely amounts to a couple of pennies per watt. They're important pennies to squeeze out, but as always, it's important to consider those costs in the context of the entire PV system." In a discussion with investors today in Silicon Valley, Paquin suggested that "the unified theory of renewable energy is power electronics." He emphasized that "what has driven markets like cell phones to mass scalability is horizontal integration via silicon" and "exploiting the silicon printing press." "I will predict that the same thing is going to happen with power electronics," said the CEO. Ray Orr, Solantro's CTO, said, "If we can drive volume manufacturing of power electronics, then the cost will follow the same curve." Orr posed the question, "How can power electronics impact the cost [of inverters], and why hasn't it followed the same curve? Because power electronics are dominated by magnetics and capacitors -- which you can't shrink. Power devices, by their very nature, have to interface with that the analog signal." Orr said that since you can't shrink the size of magnetics, you have to use adopt different techniques that enable you to use smaller magnetics. One method is to operate at higher frequencies, which uses smaller magnetics and capacitor values. He noted this same shift in computing where Voltage Regulator Modules (VRMs) shrank in size as frequency went from 20 kilohertz to 10 megahertz to the point where the VRMs are now inside the Intel Pentium package. Orr said that new higher frequency switching materials exist such as SiC or GaN but "The problem is that manufacturers do not use high speed silicon. The industry lacks experience of how to drive a GaN or SiC device at higher speeds -- Solantro has the expertise and plans to take advantage of these emerging technologies." Higher-frequency silicon capabilities from Solantro combined with reference designs will allow the new GaN parts to achieve some of their potential and provide for faster, smaller, cheaper silicon. "The new GaN parts are capable of tens of megahertz, and silicon technology needs to move in that direction," Orr said. The CEO said that the firm has "working silicon" and "qualified silicon in production." He noted that the technology is applicable to microinverters, but also to larger inverters and battery-based energy storage. Paquin went on to say, "Chipsets and open platforms are the key to unlock Moore's law in power electronics." The CEO even went so far as to suggest that the power electronics could one day be incorporated into the solar cell itself. Customers for the Solantro chipset include microinverter manufacturers such as Enphase and optimizer firm SolarEdge, as well as inverter firms such as SMA, AE, ABB, Fronius, Kaco, Sungrow and Chint. All of these firms are investing in R&D to hone their performance and efficiency. And certainly Enphase, which has shipped millions of microinverters and continues to integrate functionality and reduce parts count, could argue that it is already well along the horizontal integration, high-volume path that Solantro is pursuing. In my limited dealings with power electronics engineers, I have found them to be strongly attached to their own particular design -- so getting an incumbent microinverter or inverter firm to make major design shifts in their crown jewels is a long process. Solantro's CEO suggested that the shift to new switching materials and higher frequency designs will be driven by non-incumbent players looking for an advantage and a way to topple the giants.